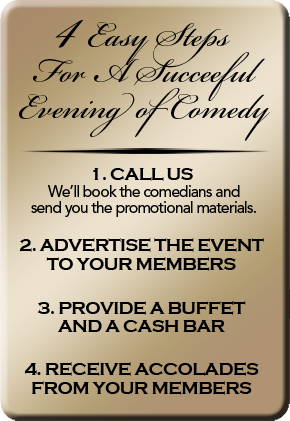 Country Club Comedians was founded by veteran comedian and entertainment agent, Scott Angrave from England. "Having over 20 years experience in the entertainment industry - both as a performer and an agent - gives me a recognizable advantage over the competition. I understand how the entire process works - from booking the show, to matching talent to venue, to the implementation of the event. Few agencies have the credentials of knowing both sides of the business and having a full understanding of what each requires." Country Club Comedians realizes that not all comedians are created equal and neither are the audiences that they are entertaining. A country club or corporate audience has different expectations than a nightclub audience and it is up to the comedian to recognize and respect that difference. We believe in providing not only great service to our clients but also pride ourselves in delivering the best match of artist to client. Scott started his comedy career in 1985 performing in local pubs and variety shows across the British Isles, then added writing scripts for the famous BBC to his resume. After graduating with a business degree from Nottingham, he spent six months working for a large bank and then decided to give it all up and made the move to America to become a full-time comedian. That was in 1987. Almost three decades later, he has headlined at top comedy clubs across America, opened for major musical acts, been a featured entertainer on Carnival Cruise Lines, performed for the troops with the USO, and has been seen on numerous TV shows.